North Euston Hotel | Pub Quizzers | Find a pub quiz near you, now. 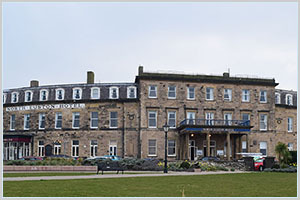 Pub quizzes take place at North Euston Hotel, Fylde Coast on Sundays (weekly) at 20:00. Entry is £1.00, you can have up to 10 people on a team. There are prizes of cash, drinks, food. Happy quizzing! Pop Quiz (1st,2nd,3rd prizes plus consolation prize). GK Quiz (1st,2nd,3rd prizes plus consolation prizes). True Or False, Numbers Round, Play Your Cards Right, Open The Box - all rollovers if not won. Over 30 prizes per week on offer.